2. What is the "ribo" in DNA? 3. Which is one of the customary 4 nucleic Acids used in DNA? The structure of DNA is often called a "twisted ladder" (double helix). What make up the rungs of the ladder? What nucleotide pairs with Thymine? 7. I want to be ________ so I can unzip your genes. 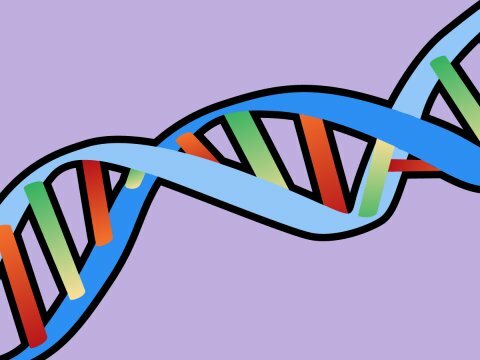 Which enzyme unzips DNA? A nucleotide is made up of a nucleoside as well as what? 9. Nucleic acids in groups of 3 code for amino acids. What are these groups of 3 called? I need DNA data storage! 10. Which is a type of mutation in DNA? We are all XMen mutants!